Are you ready to take the challenge of “Survivor Camp”? 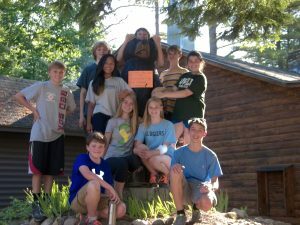 Three teams will square off in this skills-based wilderness challenge! Overcome obstacles, learn navigation, survival skills, fire and shelter, first aid scenarios. Push your limits as you participate with your team in this friendly competition! Take to the challenge course, rocket down the zip-line or face “The Wall.” If you work as a team, you will prevail!